Believe it or not, a total beginner can make this beautiful quilt. Or, if it is a little busy for your taste, make it in less dramatic fabric. 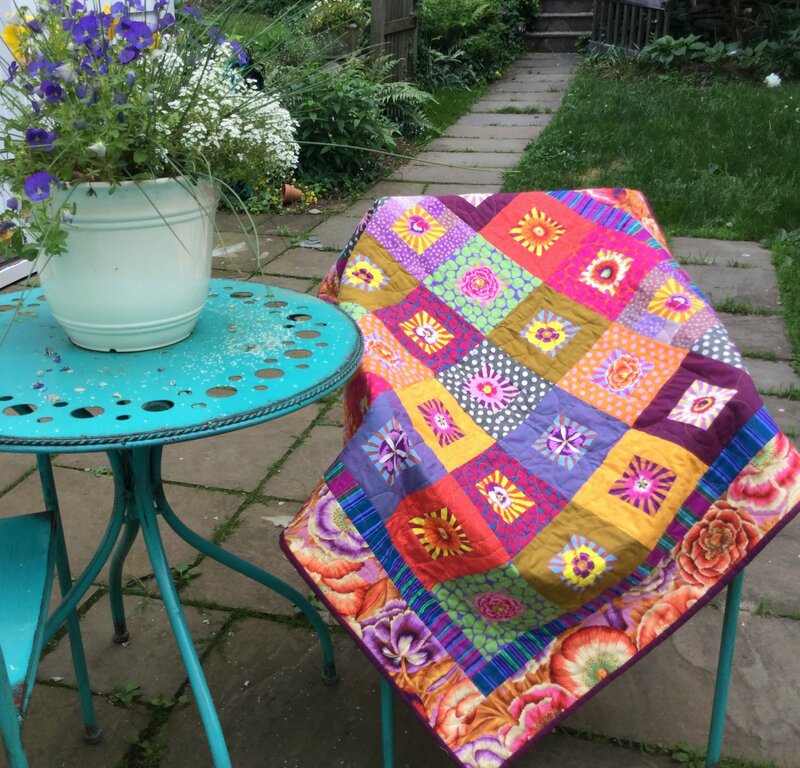 Join Lisa as she takes you through the basics of creating your first quilt. By the end of the fourth class, you will have a completed quilt top and will qualify as a Confident Beginner. Click here to download the supply list.